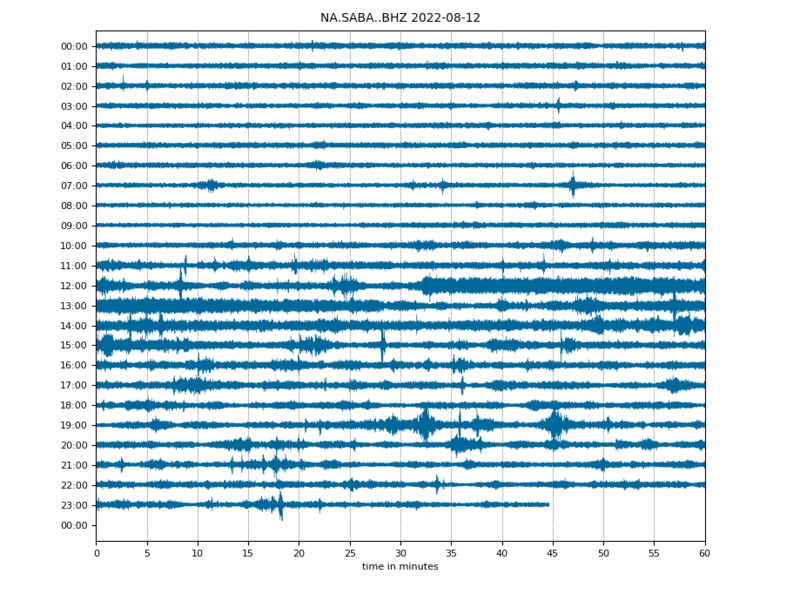 KNMI deploys a number of broad-band seismometers on Saba, St. Eustice and St. Maarten to monitor ground motion due to earthquakes and/or volcanic activity. 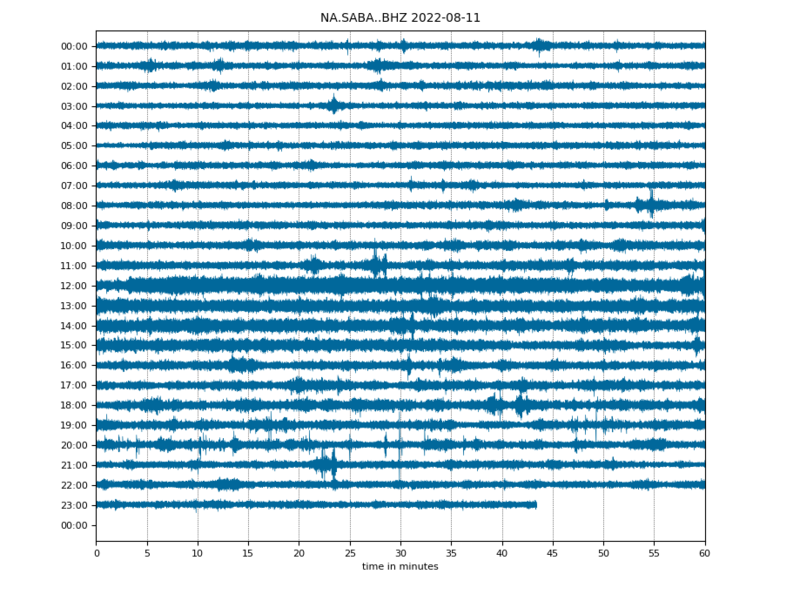 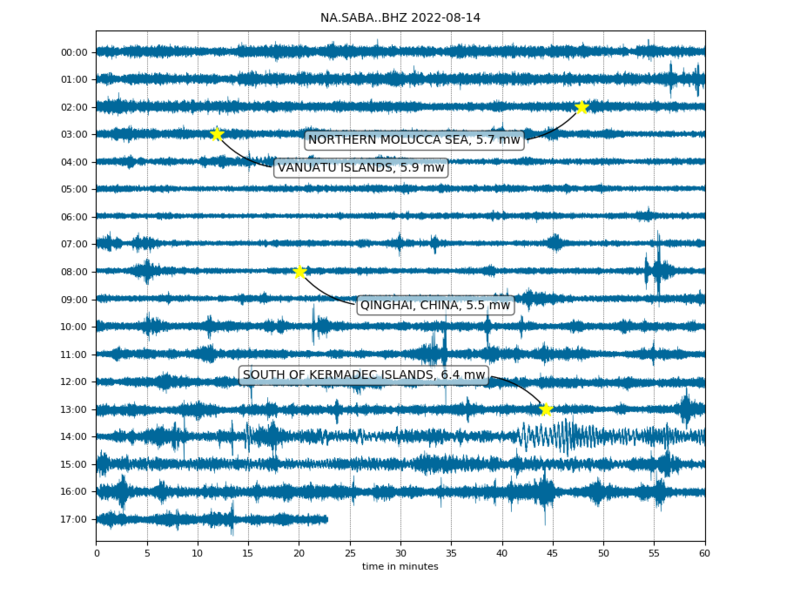 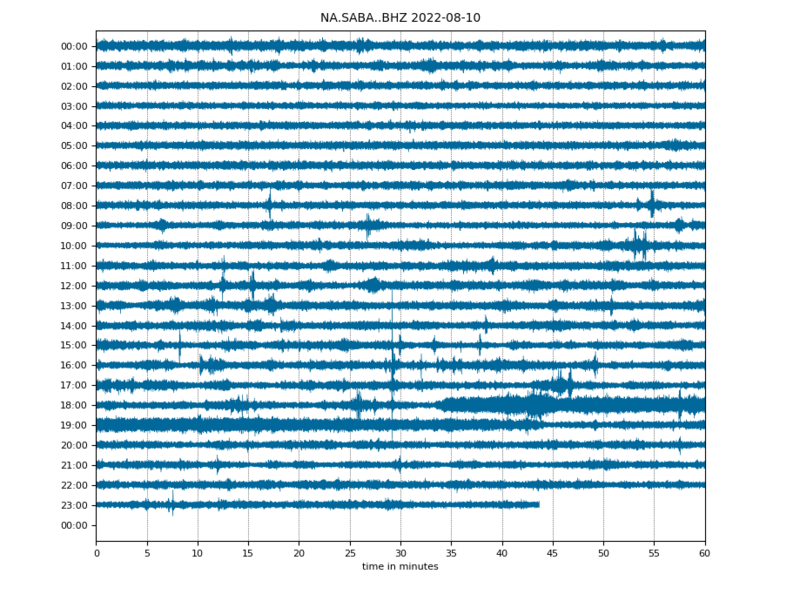 Recordings of the vertical ground motion at each seismometer are displayed by the links below, with a delay of about 15 minutes behind current time. 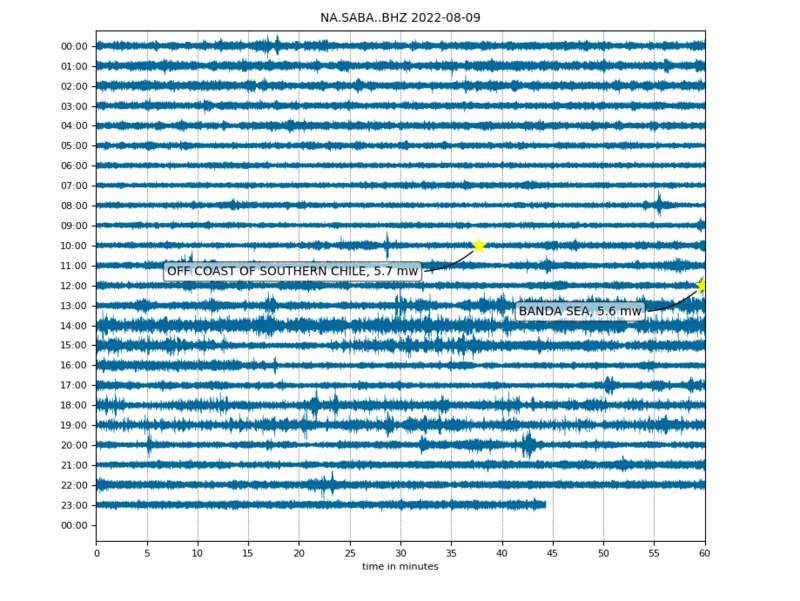 Time of the recordings is given in UTC. 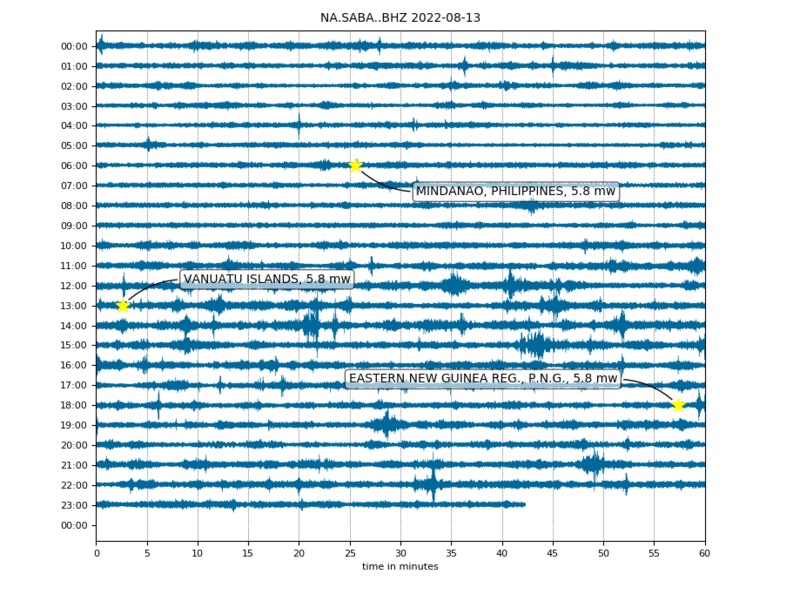 Local time on Saba, St. Eustice and St. Maarten is 4 hours behind UTC. 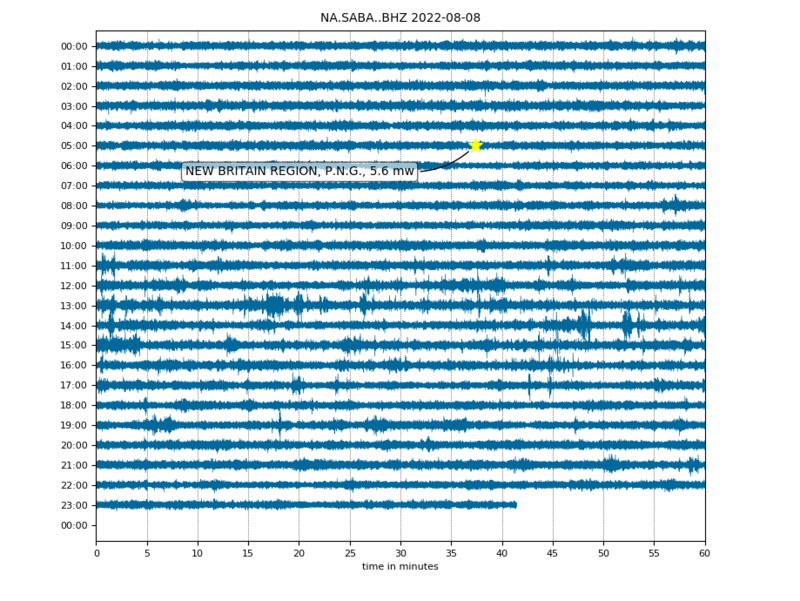 Download summary document of the tsunami procedure.